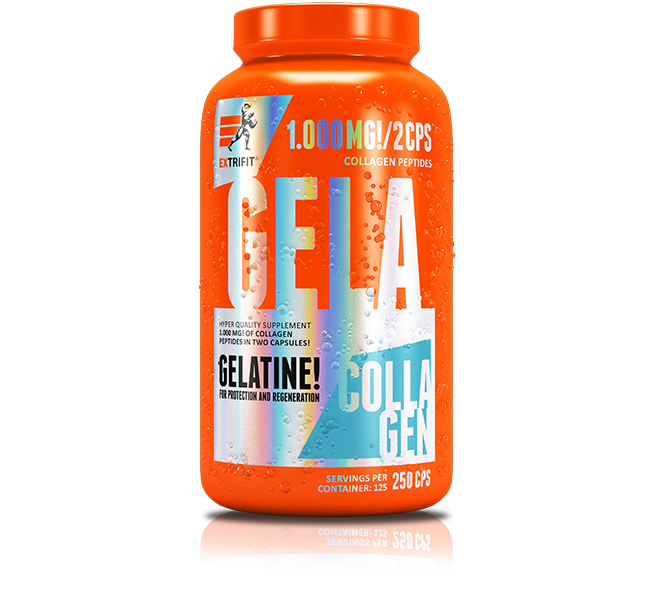 Gela 1000mg Capsules is a joint supplement with very high content of the effective substance gelatine hydrolysate. It is designed to improve mobility and healthy joint development. 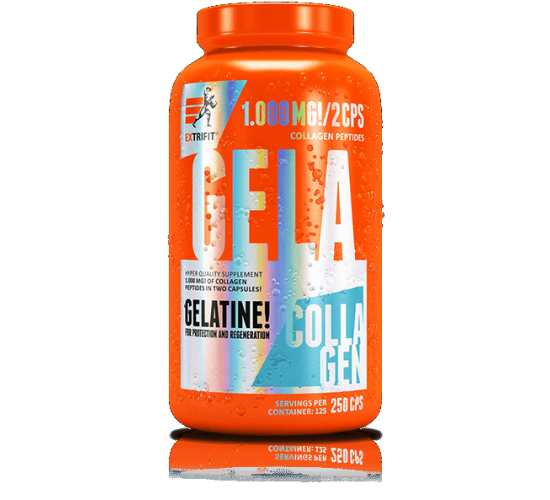 2 capsules provide 1000mg of collagen protein – gelatine hydrolysate GelitaSol M aggl. This is a rich source of predigested collagen peptides, which are easy to absorb. It has beneficial effect on connective tissue recovery and hair, skin and nail quality. Gela 1000mg Capsules is an excellent choice for those with high stress on joints and ligaments, also for individuals with higher joint strain (sports people, overweight people). Also it is recommended for decreased joint mobility and fatigue. Gela 1000mg Capsules is the highest quality French hydrolyzed gelatine from the world leader Gelita®. Numerous studies have proven that this very type of gelatine has health benefits for joints after a few days of use. Gela 1000mg Capsules also conditions hair, skin and nails. -Healthy development of skin, teeth, nails. -Protection from ligament tissue deterioration, ideal for overweight individuals with sore joints.